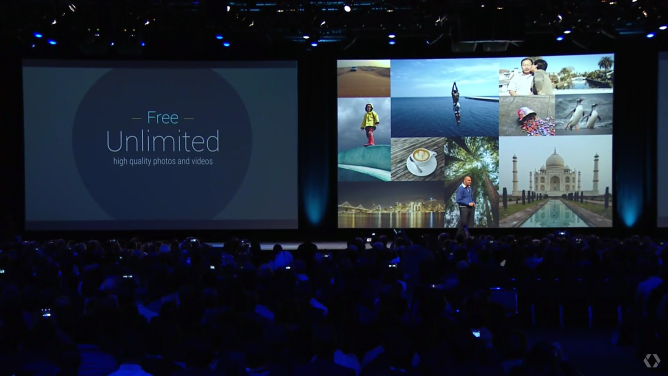 Your pictures and videos won't be compressed into oblivion either, they will be stored at up to 16MP for images and 1080p for video. That's plenty big enough for most typical consumers and will still allow for high quality prints of photos. In addition to the unveiling of Google's generous new gift of unlimited photo storage, another cool feature was also announced. With the new Photos app, it will now be possible to send a group of photos by simply hitting the new "get a link" button. This will create a custom link to a web gallery of the photos you have selected. That link can be sent to anyone and opened in any web browser without having to log in or download an app. If the recipient is logged in they will have an additional option besides just being able to view the photos. They can touch the cloud icon at the top of the image gallery and instantly import all the high quality shared photos and videos into their own library. 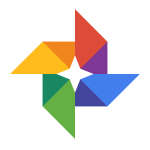 This new feature, paired with unlimited storage, could make Google Photos one of the most compelling photo sharing and archive services on the web. 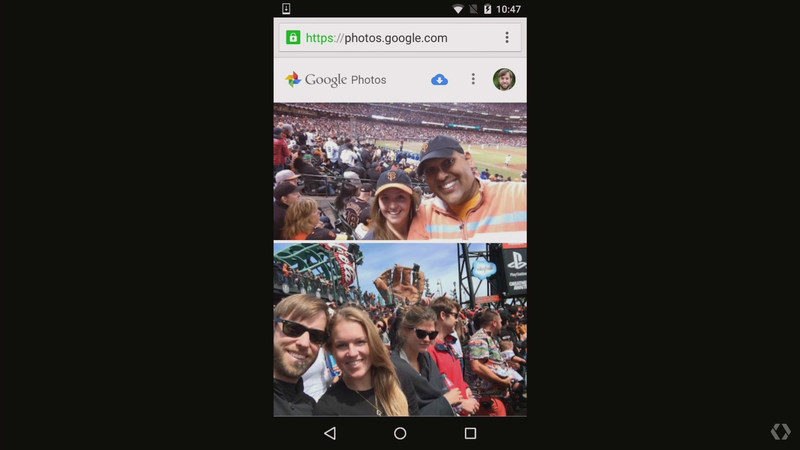 The new Google Photos will be available later today on Android, iOS, and across the web.